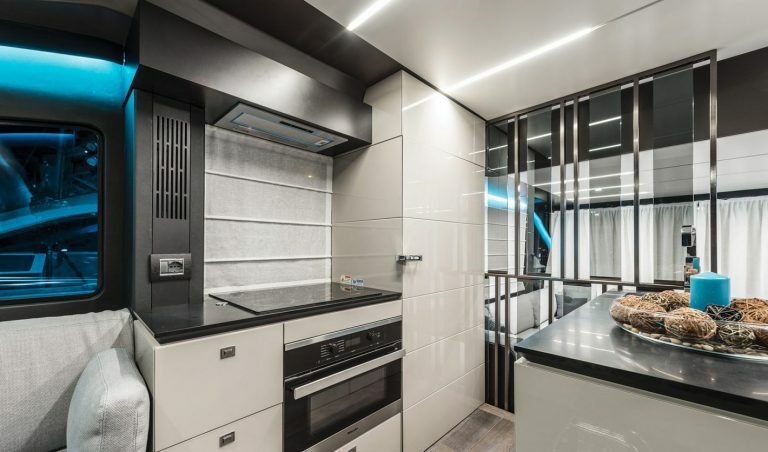 The Cranchi E 56 F Evoluzione raises the art of Cranchi’s design prowess to an even higher level, with every feature having carefully crafted function and aesthetic purpose. 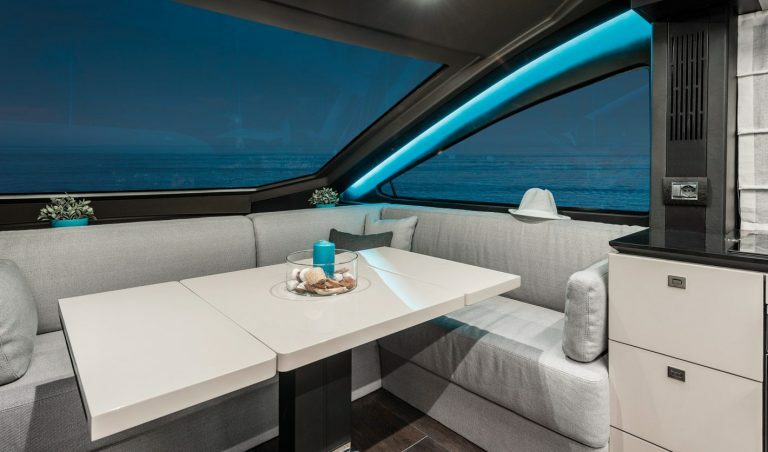 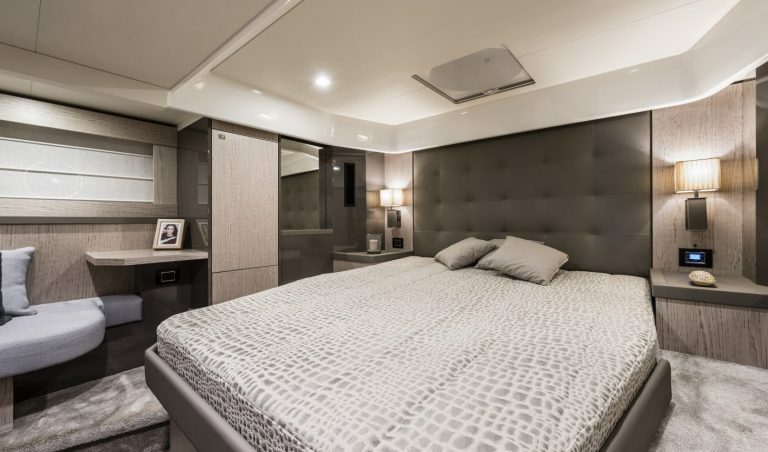 Not that this is anything but a practical flybridge motor yacht too, with nearly one third of the vessel given over to a spacious aft deck, bathing area and tender garage, supplemented by a very generous dinette on the flybridge. 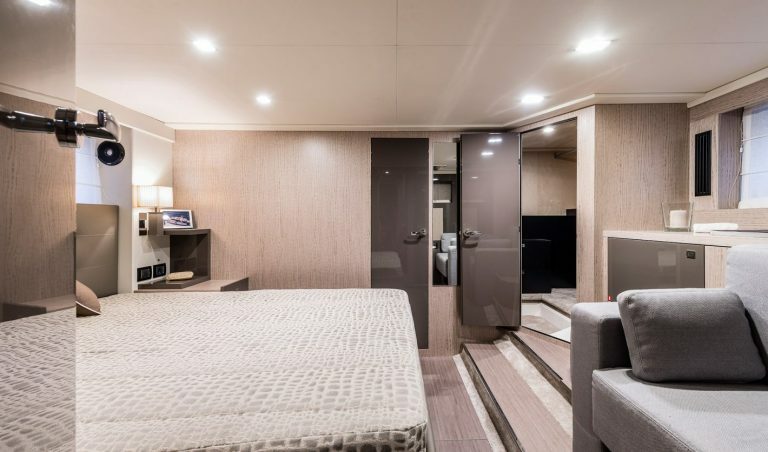 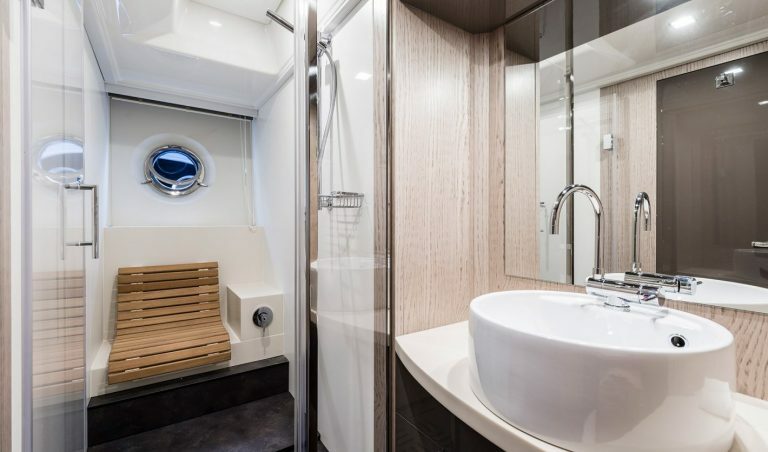 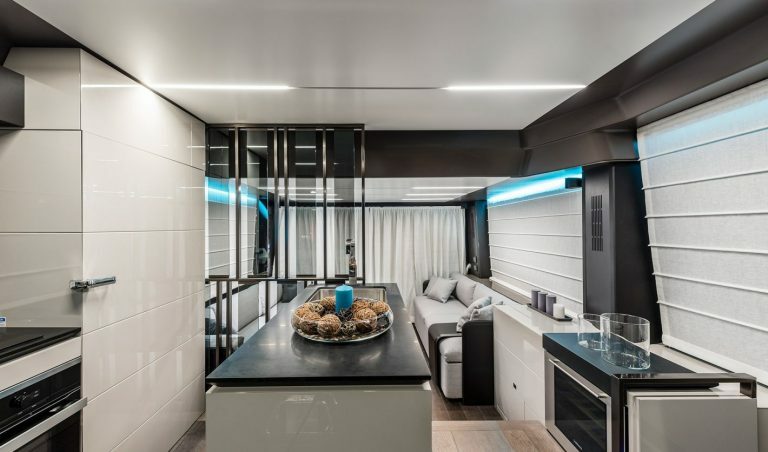 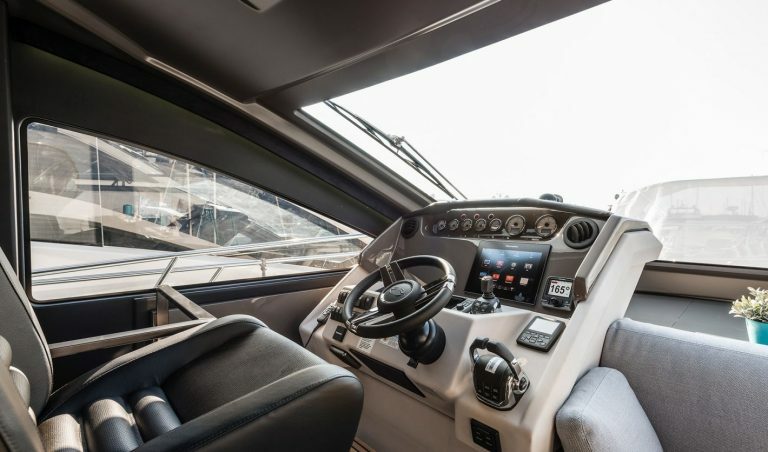 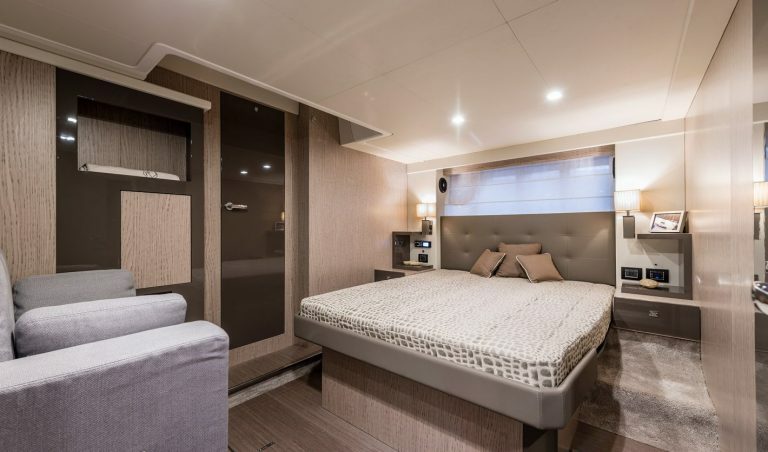 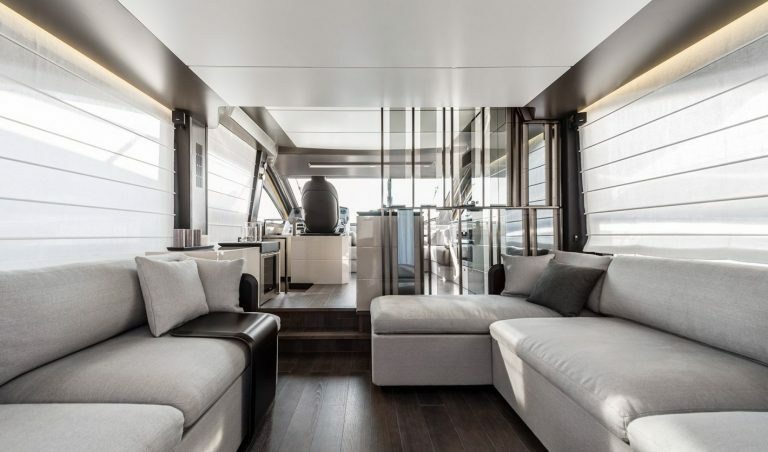 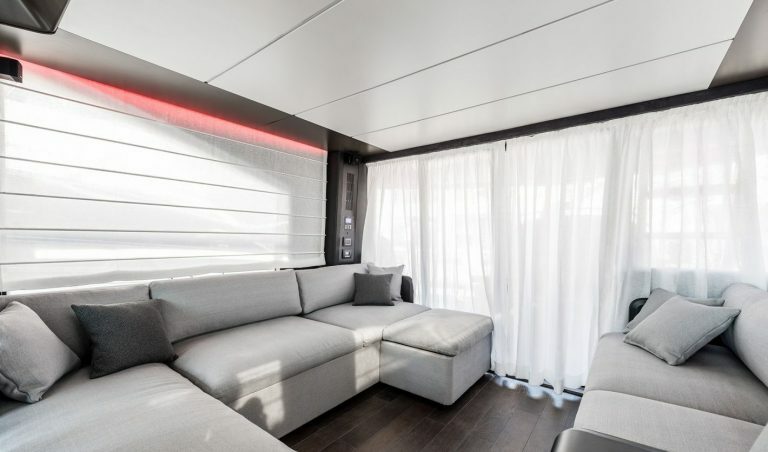 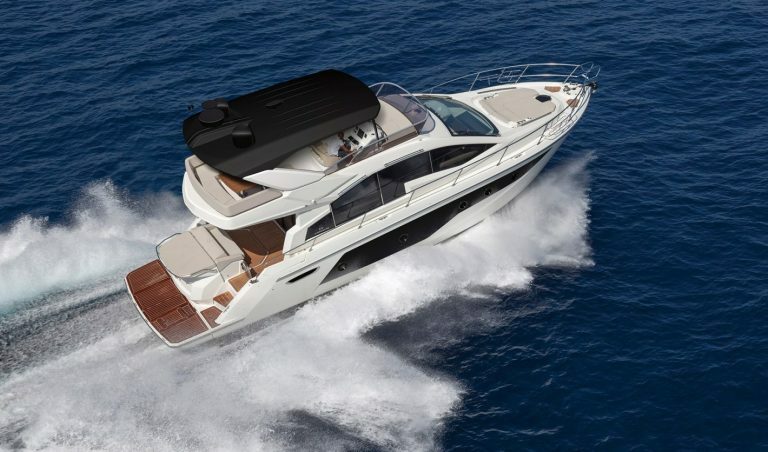 In the saloon you have two comfortable seating areas and a highly appointed galley, while below you find master midships, VIP bow and twin cabins. 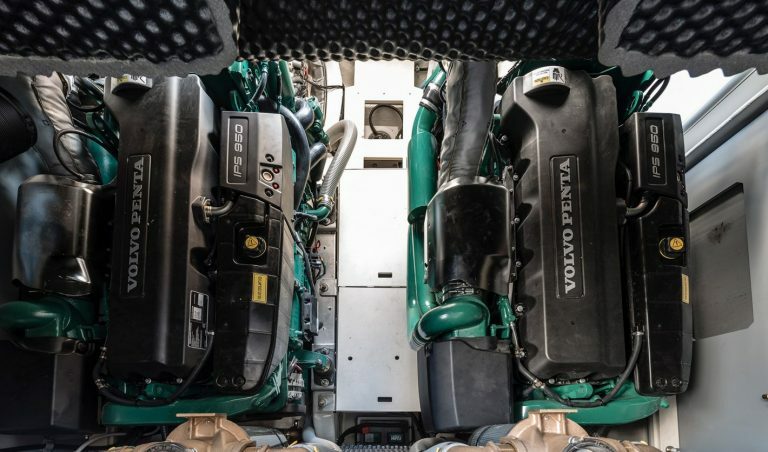 Power is provided twin Volvo Penta 725hp diesel IPS drives.